Many communities face significant challenges when building or updating their wastewater treatment facilities. Obstacles include strained financial resources, and aging wastewater systems that fall out of compliance with new regulations. Additionally, raising awareness of needed wastewater upgrades and engaging with community members on the cost, changes, and construction is a difficult task for even the closest-knit communities. At Great West, we specialize in helping communities navigate the seemingly endless path of obstacles that stand in the way of wastewater system modernization and increased capacity. Our team of engineers has tremendous experience building systems in extreme topography, harsh climates and in communities with limited financial resources. When a community partners with Great West, they can be assured that our team is up to date on the latest regulations, fully understands the science of wastewater treatment and has a mastery of the best available technology. Sustainable communities need safe and effective ways to dispose of wastewater. Our wastewater engineers have provided solutions for communities just like yours for over 30 years. 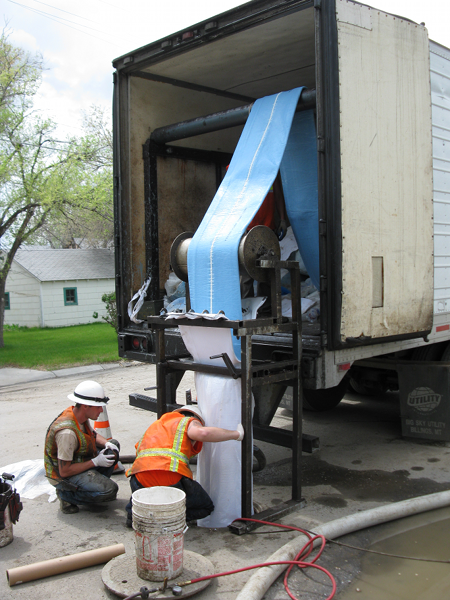 Our team has helped hundreds of communities comply with wastewater regulations. We design treatment solutions to meet the needs of growing populations for generations to come. We regularly offset project cost by obtaining competitive grants and loans for wastewater projects.